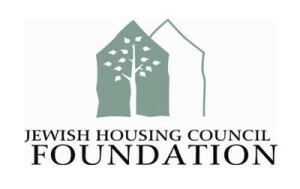 Vice President for Philanthropy: Jewish Housing Council Foundation, a not for profit organization in Sarasota Florida, is seeking a Vice President for Philanthropy to raise funds with an extensive fundraising experience and proven success to join a high-growth, mission driven organization. The Council is committed to providing an exceptional full continuum of services for seniors including independent living, assisted living, skilled care and rehabilitation. The minimum educational background is a Bachelor’s Degree. A Master’s Degree in Planning, Finance, or Management is preferred including the CFRE certification. A minimum of ten (10) years’ experience including knowledge of Annual Giving, Capital Campaigns, Foundation/Corporate solicitations, Planned and Deferred Giving, Communications and Special Events is required. Competitive Salary and Benefits provided. Possess a thorough understanding of Development/Institutional Advancement strategies; Experience with Fund Raising and creating an annual development plan and managing its’ budget plan; Oversee special events for fundraising and donor recognition; Identification and cultivation of individuals, corporations and foundations that are potential donors; Establishing and maintaining professional relationships with gift prospects and benefactors; Developing and implementing a planned giving program for the Boards, Donors and Resident Families; providing leadership for a Capital Campaign and creation of Endowments. Send your resume with cover letter to MaryBeth@MBJGroup.com by June 5, 2015.